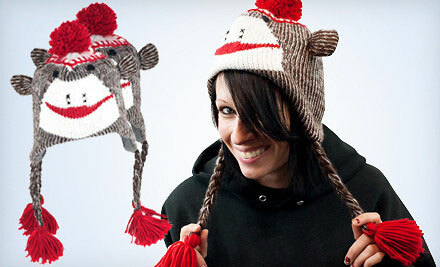 $9 for an Adult Size Sock Monkey Knit Hat with Poly-Fleece Lining in Brown or Gray. Shipping Included ($19.99 Value). And to think that I paid full price for mine! Ah, such is the life of the fashion-forward. This entry was posted in Clothing, Humor and tagged funny, hat, Humor, sock monkey. Bookmark the permalink. 2 Responses to Embrace the Dork Side!